If you’ve experienced the build up to Christmas in the UK, you’ll know that the launches of the big retailers’ Christmas ads are eagerly awaited. In 2015 we ran a poll of the favourite Christmas ads and even though it was considered sadvertising (take note Petronas with Chinese New Year coming up) by many pundits, the John Lewis ad was a clear winner. This year John Lewis has for the first time cast a black family as the stars of the ad. Actually that’s not true. The stars of the show are a whole series of animals including the family pet Buster the Boxer. You can watch the ad here and let me know what you think. This being Christmas you are encouraged to ignore reality and the fact that the hedgehog would have been in bed since November and foxes are a nuisance (more on that later). After two days the ad has generated 4 million views on Youtube, 32,000 Likes and 3,000 comments, most of them positive and many of them amusing, ensuring the narrative continues! The store spent about £1 million on the ad and will spend £6 million on TV spots nationwide. Fans can also download Snapchat filters featuring Buster the dog. Merchandise on sale in the stores includes soft toys, clothing, animal themed children’s books and trampolines. And in the Oxford Street store, there will be a virtual reality version of the commercial. The dog also has his own Twitter hashtag #BusterTheBoxer and Twitter stickers. But Twitter reactions have been mixed. @Basscrazy66 suggested Santa should be putting the trampoline together. @Gregjames missed the sadvertising approach with this tweet. Meanwhile, @DanielBruce_8 brought a bit of regional humour to the narrative. 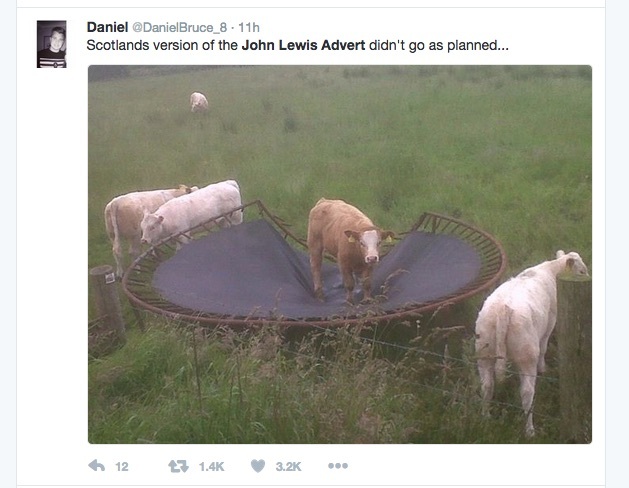 Earlier in November 2016, an A level student in the UK created a fake John Lewis ad that fooled a number of people. Taking sadvertising to a new level, the ad features an unhappy snowperson trapped in a snow globe desperate to get out of the globe so he can enjoy Christmas with a free snowperson. There are rumours the student will soon be interviewed by the head of creative at John Lewis. Even though it’s only been out a few days, the John Lewis ad has been parodied. Make sure you watch this parody to the end! 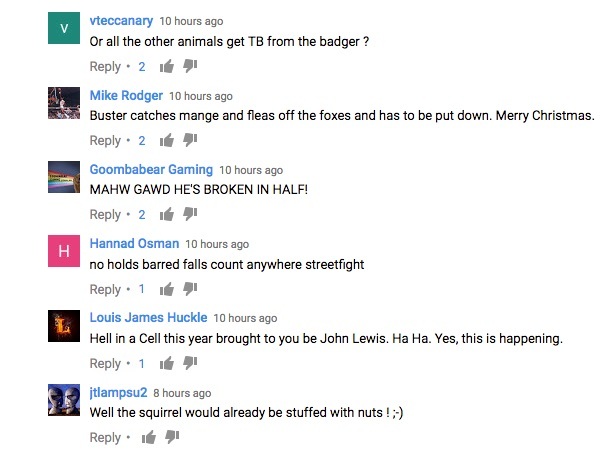 According to the creators of this parody, James Herring, Jasper Gibson and Dave Packer, they are “raising awareness of the mild annoyance of urban wildlife experienced by middle class city dwellers”. John Lewis has announced that 10pc of all toy sales will be given to the country’s Wildlife Trusts charities. What do you think, is this the best ever John Lewis ad? Vote in our poll. That parody was brilliant. As was the original! Good stuff. Happy Holidays!